Percussive Sweet Spot: Dave Weckl!!! Dave Weckl is one of my biggest drumming inspirations. He has also inspired many others around the world for more than 25 years, with his love of drumming, music, and educating. 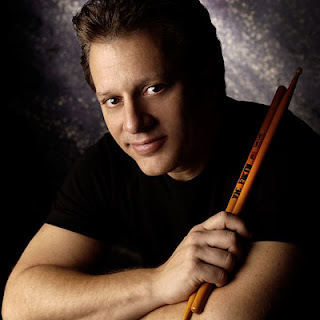 Born on January 8, 1960 in St. Louis Missouri Dave Weckl began playing drums when he was about 8 years old. His mother loved music and his father played piano as a hobby. Weckl received many awards as a teenager, from the National Association of Jazz Educators which later went international and changed it's name to the International Association of Jazz Educators. When he was 16, Weckl began playing professionally and has performed around the world with many famous musicians. In 1979 Weckl moved to the East coast of the USA to study percussion and drumming at the University of Bridgeport Connecticut. Weckl has also recorded quite a few albums and has even recorded TV and radio jingles and movie sound tracks. Click here to read more about Dave Weckl's discography, or list of recorded albums. Weckl's high profile also includes being inducted into the Modern Drummer "Hall of Fame" as one of the top 25 drummers of all time. Weckl is sponsored by a range of companies, which include "Yamaha Drums; Sabian Cymbals; Vic Firth Signature sticks; Remo heads and products; Shure microphones and In Ear Monitor system, May bass drum mounting system; DDrum electronic drums, XL Specialty Cases; Bagend Speakers, LP products." (AngelFire). Today, Weckl lives in Los Angeles and is still recording, touring, and teaching. He loves to spend time with his family, dog, and also enjoys driving his Audi S4. 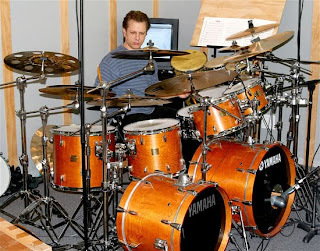 Dave WecklMusic (2010). Dave Weckl Biography. "we'll start with a straight ahead type of thing..." there isnt much straight ahead about that. Weckl is definitely one of my biggest inspirations of all time but I agree...there isn't much that is straight ahead about what he played in that video!! !